What kids really use as topics for their talks! 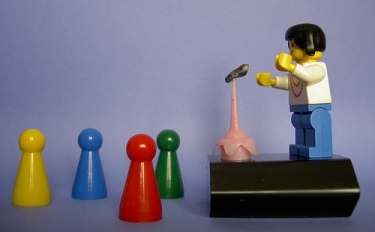 Public speaking topics for kids are best left to the kids! There's no way I'm going to try and come up with a list of them. Why not? For a start I'm not a kid, and although I have an 11 year old daughter who loves public speaking, I'm just not qualified to suggest what a young person might be interested in talking about! And I'd suggest you don't assign topics to kids either - you'll see why in a minute. Just look at this list of the actual topics that were chosen by Year 5 and 6 kids (9 and 10 year olds) for an annual school speeches competition in 2007 and 2008. Look at the diversity of subjects. Human biology, natural history, history, anthropology, psychology, social issues, human aspirations, relationships, recreation, economics, commerce, technology, language, personal experiences, philosophy, travel and so on. Not all 'childish' topics are they? Some quite hard hitting issues in amongst these. Doesn't sound like a list that young kids would take on does it? Perhaps we'd be far better off helping them out with the 'how' of their talks, rather than worrying about finding public speaking topics for kids. What do you find easy that others find a bit harder? Just make sure you teach the kids to pick something they can put some feeling into ... and then get out of the way and prepare to be amazed at what they come up with. You may even see someone who can mentor you through your own fear of public speaking!